Furniture ecommerce trends can be a big help for Manufacturers and Retailers when it comes to selling big-ticket items via Internet. According to Statista report, furniture sales have increased dramatically since 2004 – from 3,2% to 15,3%, and they are likely to keep growing. This means that to stand out in a highly competitive industry, brands must offer superior customer service and cutting-edge solutions. Analyzing the latest furniture ecommerce trends, brands can drastically improve business performance. Moreover, they can also understand clients better and meet their expectations with а greater success. Finally, brands that adopt the latest e-commerce trends can anticipate the competitors’ actions and stay one step ahead. As a product rendering company, we create photorealistic imagery for many successful furniture retailers. And by virtue of working with industry leaders, we know that keeping up with trends is vital. So we’ve prepared for you a list of top 5 ecommerce trends that’ll shape the furniture retail sphere in 2019. Read up and see what your business can benefit from! According to Statista, 3,7 billion people accessed the Internet via smartphones in 2018, which means mobile commerce is a vital for e-tailers. Thus, by making the websites comfortable for online shoppers, Manufacturers and Retailers can reach out to a huge range of potential buyers. Let’s take a look at three ways to do this. 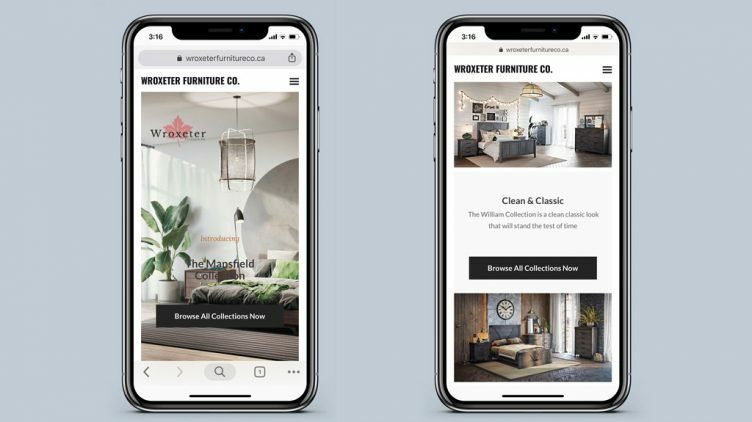 First, a furniture brand can create a separate mobile version of its website – which allows to tailor a completely mobile-centric user experience. Second, a Retailer can choose the responsive web design that adapts to a mobile screen automatically. To achieve this, it’s necessary to hire a developer who will adjust the CSS/HTML code of the existing website. Both the mobile version and responsive web design will help businesses to get better SEO-rankings, as Google Mobile-First Indexing is prioritizing mobile-friendly sites. Finally, businesses can opt for a mobile app – it’s easy to use, loads quickly and provides users with convenient payment opportunities. Among other things, apps enable furniture retailers to re-engage inactive customers by sending them push notifications that offer discounts or inform about sales. This way, consumers will be motivated to visit the e-store, check the latest updates and make a purchase. Today’s overcrowded market makes it difficult for businesses to break through the info glut and reach the potential customers. The most powerful way to get attention is communicating on a personal level. Based on data, which includes demographics, interests, tastes, and even the items customers interacted with in an e-store before, businesses can make more personalized offers in various channels. A powerful way to leverage the data is by using email marketing. In particular, users can be asked to register on the website with an email in order to use a shopping cart. In case the visitor adds product to the cart and leaves without buying, e-tailers can send him an email with a reminder. It always works to create a sense of urgency by saying that the item in the cart is available in limited quantity. And if the recipient does not buy, one can offer him a discount in the next letter or free shipping. Alternatively, Retailers can use email addresses of existing clients for cross-selling. Instead of forgetting all about customers after the purchase, furniture businesses can send them email offerings, based on what they’ve already bought. One might also consider adding email addresses to the retargeting lists and show users relevant ads in Google and Facebook, based on their interaction with the site.This way, e-stores will be visited by the target clients only, which will increase the website traffic. With the help of CGI, Manufacturers can get multiple top-class images of furniture without effortful photoshoots. It only requires a photo taken on a smartphone and can produce any type of imagery – lifestyle, silo images, hero shots, group shots, you name it. In order to get furniture visualizations, an Etailer needs to order a 3D model of the item advertised, which will be used by 3D artists to create cg images of any type showing the piece from any angle. No matter what kind of picture the brand needs – a white background shot or a lifestyle – 3D visualization can deliver it in photorealistic quality. Besides, availability of a pre-made 3D model makes creation of next images for the item cheaper and less time-consuming, since 3D modeling is excluded from 3D visualization price and turnaround time. For instance, e-tailers can send the 3D model to the cgi studio and get brand new photorealistic images for a new seasonal ad campaign – taken from different camera angles, with new lighting, and in a different setting. This way, CGI visualization services save Manufacturers time, money and effort. Customization is one of the furniture ecommerce trends that allows consumers to get products tailor-made to their needs and tastes. And who would not appreciate that? Instead of settling for what is available, the shopper takes part in the creation process and feels in control. Thus, furniture brands can let potential buyers to change the color, finishing material and add decor to the objects right on the website – showing the final results in details and from different angles. This used to be a lot of trouble, but times have changed. For now, there is no need to make physical prototypes, transport them to a photostudio and wait till every furniture piece will be shot. All a Retailer needs is simply to order a 3D model. 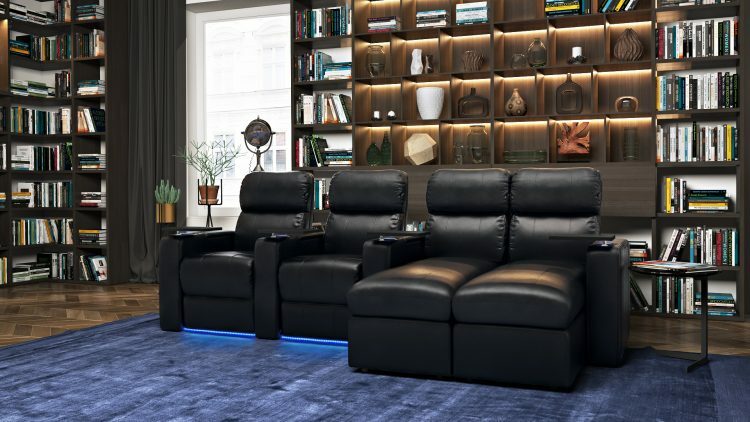 Once it’s ready, 3D Artists can modify it to reflect different product variations – and then, the Furniture Retailer can get product imagery for all options available. He can use them on the website to enable prospects to change its colors, finishing materials, or add some special decor. And by the way, all these 3D models can be featured in new advertising images. People hesitate when buying furniture via internet, as it’s a big-ticket purchase. So in order not to waste money and have to return the purchase, many online shoppers end up going offline. 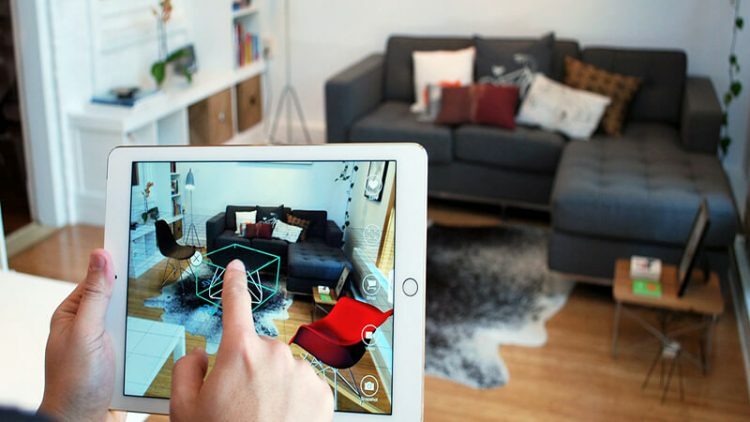 AR is one the biggest tech furniture ecommerce trends that allows shoppers to move one step further to the purchase by giving them the opportunity to visualize the object. Instead of visiting a physical store, customers can download a mobile app and see whether the product is a fit. AR apps enable shoppers to interact with furniture online. They can rotate the pieces, size them up and lay them out in a real living space. This way, buyers can check whether the item will fit in the room, as well as try different colors and textures by pointing a smartphone camera at desired locations. By playing with the layout, shoppers can furnish even the entire living space while staying at home and discussing each decision with the whole family. This way, AR technology makes clients more confident about buying furniture online, which leads to increased ecommerce sales. 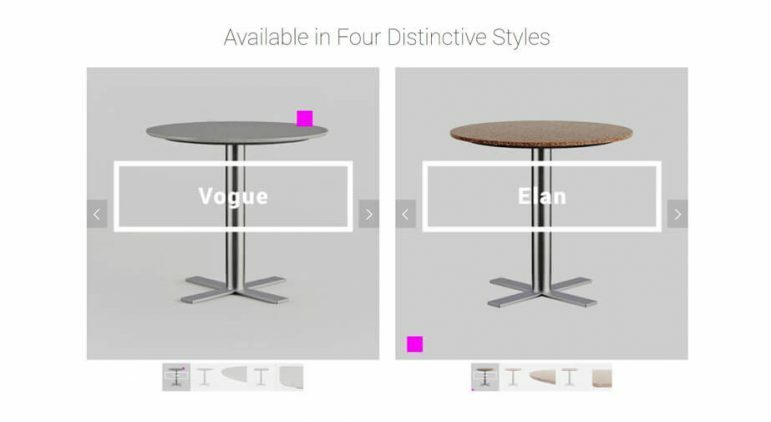 Following these 5 furniture ecommerce trends, brands can increase online sales, boost marketing ROI and convert visitors into buyers. Tapping into mobile ecommerce will allow e-stores to reach a wider audience, while personalization and customization options will help to take customer loyalty to the next level. Another powerful trend to consider is CGI visualization, which optimizes the workflow while providing top-quality visuals. And finally, there are AR technologies – an ecommerce trend that blurs the line between online and offline by letting shoppers visualize objects in a real living space. Need top-notch visual materials to keep up with the latest furniture ecommerce trends? 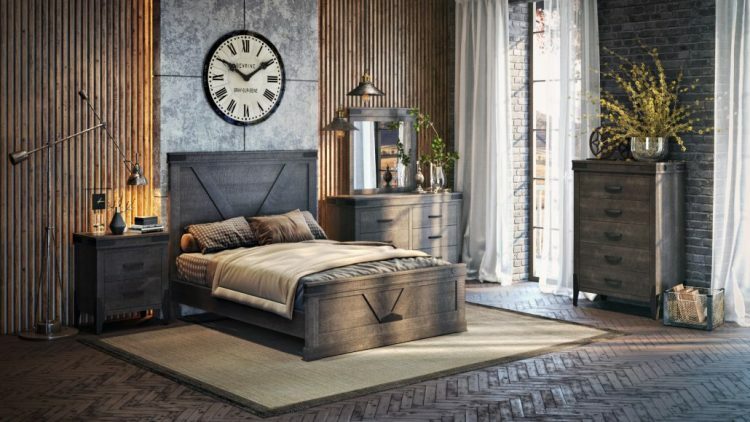 Contact CGI Furniture for high-quality product rendering services – and we will create imagery and 3D animations that will catch attention and will make prospect learn more about your merchandise.